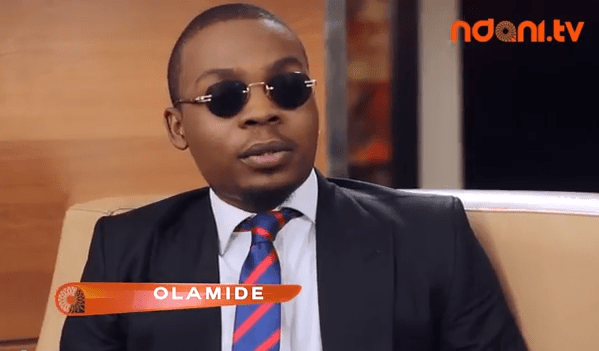 SCIENCE STUDENT: When Will Musician, Olamide ever be Arrested? - e-NIGERIA! 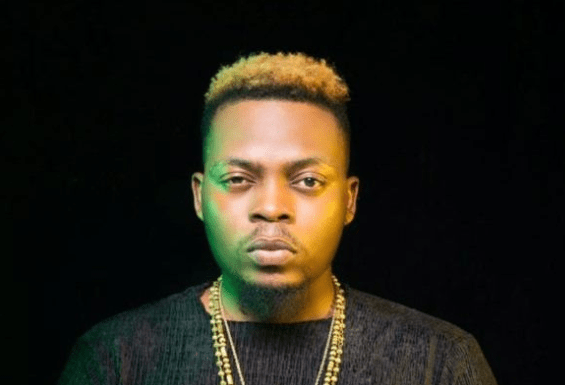 SCIENCE STUDENT: When Will Musician, Olamide ever be Arrested? When Shanawole, the 11-year-old vicious cultist was unveiled to the world in his full regalia, deck with fire blazing arm-size Indian hemp few months ago before his eventual rehabilitation by a Pastor of This Present House Church, most Nigerians who watched his confession which was often interrupted by a puff of the hemp in his hand interpreted his predicament to the breakdown of our societal values and decaying parental responsibility. While this is true, his revelation also points to the drooping sanity across Nigeria today. Our society is in trouble and more than ever, our youth, male and female alike, are the most endangered species. Not only have we lost the war on drug abuse effortlessly, we have further created a yard for eventual neuropsychiatric disorder. The soaring rate of drug abuse in our society is so shocking, the effects will be borne by generations yet unborn if not nip in the bud immediately. Already, over three million bottles of codeine syrup are consumed daily in Kano and Jigawa States alone according to the Nigerian Senate. In an interview with This Day newspaper, a former Director General of the National Drug Law Enforcement Agency, Otunba Ipinmisho, pegged the percentage of youths involved in drug abuse in Nigeria at 40 per cent. An estimated figure of forty million Nigerian youths! At the heart of this escalating epidemic is a rave making Nigerian artiste, Olamide Adedeji, known by many as Badoo. Ever since he started his musical career, the self-crowned ‘King of the street’ has more than often continue to promote vulgar lyrics capable of destroying the foundation of our morality and socio-cultural values. His beats, though danceable and rhythmical are often backed by a blend of social rascality. Mr. Adedeji seems fixated on maintaining a street creed that he consciously promotes violence, hooliganism and drug abuse. From the days of ‘eni duro’ – a street lingual which he created and often associated with destruction and delinquency, followed by ‘Young Erikina’ where he openly eulogise the criminal activities of internet fraudsters, Mr. Adedeji’s promotion of immorality has been a hit back-to-back. His most recent song ‘Science Student’, produced by his famous partner in crime, Young John, is the final nail to whatever coffin the sanity of our society is buried in. The lyrics are not only intoxicating but a multiplication of unfathomable glorification of hard drugs and encouragement of intake of same. From the array of vulgarity the song portrays, his vigorous encouragement of youths to mix illicit substances like ‘skushi’, ‘monkey tail’ – a corrosive distillation of Indian hemp soaked in ethanol for days to derive hyper combustion, amongst other substances betray any decency left in the Nigerian music industry. Already drug addicts have started wearing the toga like a badge with pride, many, who do not understand basic terminologies such as chromatography, transpiration or algebra now answer to the appellation ‘Science Student’. It is high time the Nigerian Police Force and the National Drug Law Enforcement Agency lived up their responsibilities for once and call Mr. Adedeji for questioning. He must explain his role in the promotion of indecency, public unrest and drug abuse. It is hardly unexpected that Mr. Adedeji may have more than a cordial relationship with merchants of this industry, perhaps, even a stake in the underworld market. But if these acts of his are merely the display of youthful exuberance, Mr. Adedeji must realise that even if our society has failed and our political system continues to leave us all with no glimpse of hope, applying fuel to an inferno is never a way to quell it. Mr. Adedeji wields enormous influence and the sooner he realise that he is no longer the teenager struggling for relevance few years ago, the better for this nation. If not for anything but for his fan base of young and malleable Nigerians open to musical influence, he should grow up. Influence such as his, if used rightly can earn him global recognition and perhaps, a page in history. With his great power, he must take up greater responsibilities. He should focus his attention more on social causes and issues that affect the lives of his fans. Mr. Adedeji should be admonished to value humanity than rave or sustaining popularity. Finally, the National Broadcasting Commission which should act as the clearing house for songs even before they hit the airwaves seems to have gone to sleep. I hope it is not too late to act now. As a matter of national security and preserving whatever is left of our sanity, the President should direct the Minister for Health to order an immediate ban on all pharmaceutical drugs that are prone to abuse and make Mr. Adedeji the face of the campaign against drug abuse.